Squaring the Square is a curious turn of phrase. It sounds as though it may have some relation to 'squaring the circle', an activity which was proven to be impossible in 1882 by Ferdinand von Lindemann due to the transcendance of π (Pi). The phrase 'squaring the square' was coined as a humourous reference to squaring the circle by Tutte when he and Brooks, Smith, and Stone successfully attacked the problem, thought to be impossible, of dissecting a square into smaller squares, all of different sizes. Oddly enough, this problem, while having the appearance of classical geometry, did not appear anywhere in arts, science, mathematics or literature until the early 20th century. The earliest reference to the dissection of squares into squares is in 1902 and is due to Henry Dudeney, an English puzzler and writer of recreational mathematics. Subsequent developments are documented in approximate chronological order by the names of those who contributed. There are people listed with their information missing, under construction or incomplete. There are those who have contributed, and are currently contributing but are not listed here (yet). Expect further additions depending on person's wishes and the availability of relevant material and time. 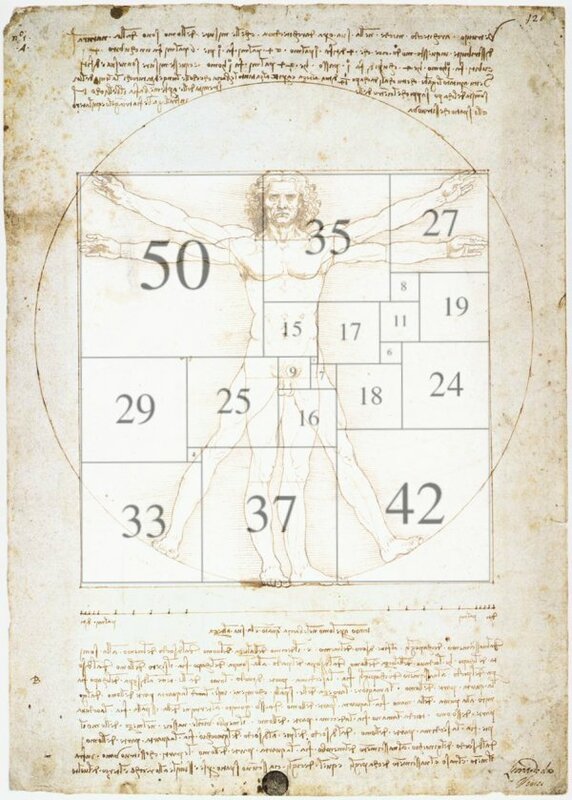 Da Vinci's Vitruvian man with Duijvestijn's 112 Squared Square superimposed.